Have you considered writing a letter to Don Junior? Not e-mail, an actual letter. People are known to give letters more time because they're tangible, easier to read (use Times New Roman which is meant for the printed page, unlike Arial or Helvetica) and the recipient sub-consciously gives them extra weight. In many cases, it will illicit a written response or a phone call if you provide that detail. I think the club is very good in responding to their members. And I think they do care, but they can't please everyone and at times they take decisions that some or many fans don't agree with. Certainly, if I email the club, be it the CEO or others... I always receive a response. I doubt there are many clubs in the NRL where the CEO responds to emails from members. So now we're just ahead of last year 10,157 versus 10,113. 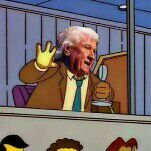 I put it down to the great leadership shown by Hodgson! How is this going to help with our halves problem?! They shouldn't sign anymore members until that is sorted! 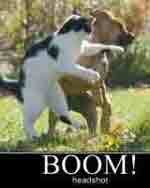 (just to keep up with the recent tone). Canberra Raiders Facebook and Instagram. I've got to say, the membership team at the Raiders are absolutely terrific... always so keen to help solve any issue. They're a great team. I didn't autorenew and I got mine before xmas so you should definitely chase that up. The Raiders have hit 11,504 members for 2019. That figure compares to 12,030 this time last year. The Raiders are now in front of four other clubs, the Bulldogs, Sea Eagles, Cowboys and Tigers. 11am-11.30am - Interviews with players and coaching staff, lucky door prize draw and fans can run on the field. Please be advised from 11.15am entry fees may apply for junior representative matches, so get there early! How does someone who's not attending get their hands on a 2019 team poster ? Was there a pin in this years package celebrating 89 / 30 years?? Dusty wrote: Was there a pin in this years package celebrating 89 / 30 years?? If there was, I didn't get one. I think that's because there's a logo that looks like a pin... but there is no pin. The Canberra Raiders have broken through the 12,000 barrier for 2019 memberships, hitting 12,398. That's slightly behind the 12,712 posted in late January last year. The Raiders broke the 20,000 mark for the first time in 2018 - though that figure is believed to have been boosted by memberships for locally registered rugby league players, with a sponsor also pushing the number over 20,000 just before membership sales closed. The South Sydney Rabbitohs, Brisbane Broncos and Parramatta Eels head the pack, with the Canterbury Bulldogs, Manly Sea Eagles and Gold Coast Titans in the doldrums. Membership numbers have lifted for the Rabbitohs, Eels, Knights, Tigers, Sharks, Warriors, Dragons, Roosters, Cowboys and Titans, compared with the same time last year - but are trailing for the Broncos, Storm, Panthers, Raiders, Sea Eagles and Bulldogs. Speaking of sponsors, I was watching a doco about the NFL's Kansas City Chiefs and a player mentioned that sponsors competed for the right to wear a red jacket by selling memberships. Those who won were given the privilege of wearing their jacket and standing near the players' tunnel to welcome the side as they ran onto the field. Add logos or some other form of marketing for the successful sponsors and you could have something here. 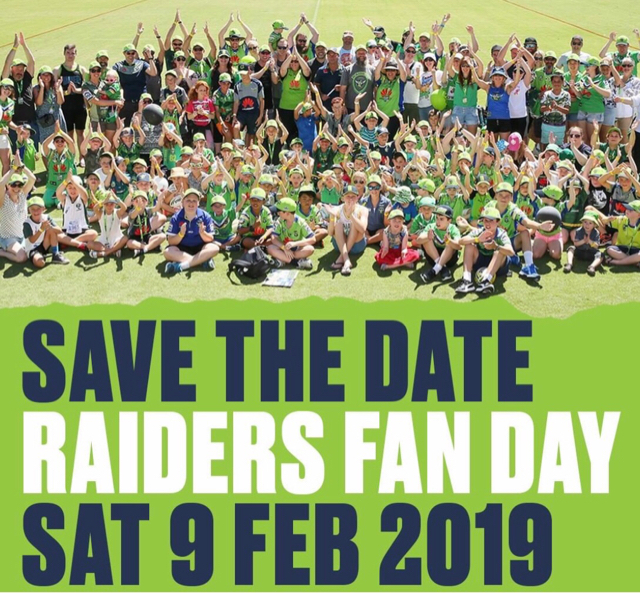 Members and fans are encouraged to come to Raiders Belconnen for the 2019 Canberra Raiders fan day, followed by the Round 1 Tarsha Gale Cup and Harold Matthews matches. With the influx of new faces, I hope they have something on the tables to say who the new players are. Latest membership tally is 12,558, which compares to 14,173 at this time last year. Raiders in front of the Roosters, Cowboys, Bulldogs, Sea Eagles and Titans. 12,936, this compares to 15,136 as at 15 February 2018. Renowned British golfer Dame Laura Davies has joined the Canberra Raiders family after becoming a member of the club. 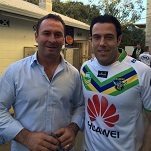 After meeting Ricky Stuart last year at a golf event, Davies has quickly become an avid fan of the club. “I’ve never been a massive rugby league follower but ever since I realised what he did here and what the team does for the community I thought I’d start following them,” Davies said. Does she have 3000 friends?